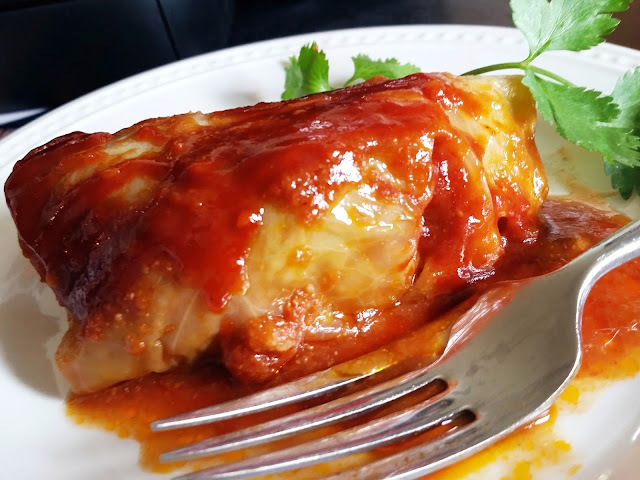 When my husband's home from the freezing cold Arctic Slope, I tend to pamper him with hot, hearty meals like beef and rice stuffed cabbage rolls. 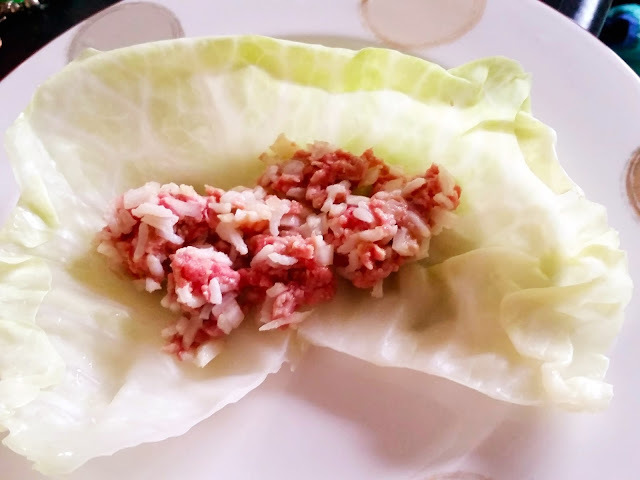 He loves ground beef, and the tender cabbage makes a great parcel with the addition of fluffy rice and rich tomato sauce. I don't recall ever having had this dish in a restaurant. It just seems like one day many years ago, I just started making these, and my husband requested it often. Seventeen years ago, when he left White Sands Missile Range to join me in Little Rock, I had a big cookbook where I looked for things to cook him. There were no pictures, and I'm not sure if this recipe came from there, but it's possible. The book was called Joy of Cooking. I grew up cooking Vietnamese meals at home with my mom, so the book was my attempt to cook American meals for my American boyfriend. Bring a pot of water to a boil, then add the cabbage. As the leaves get soft, pull them apart with tongs and place on a plate. 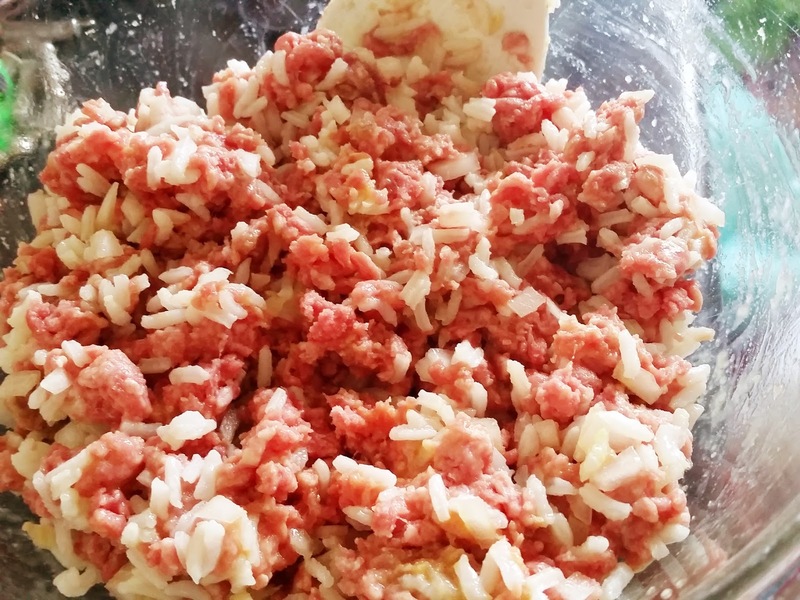 Mix the ground beef with rice, 1 cup of tomato sauce, egg, and garlic. Salt and pepper are optional as well. 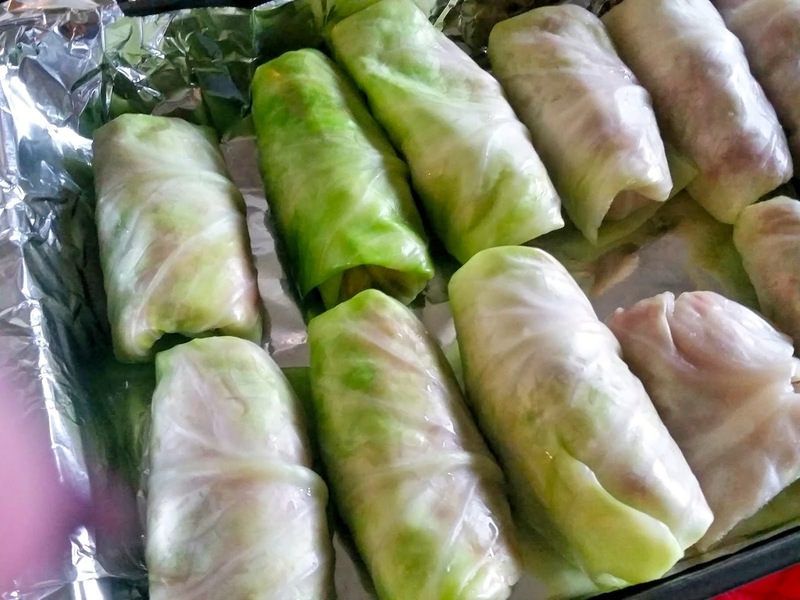 Prepare the rolls: place about 1/3 cup of mixture on a cabbage leaf. Tuck the sides in, then roll. Place rolls seam side down in a 13x9 pan. 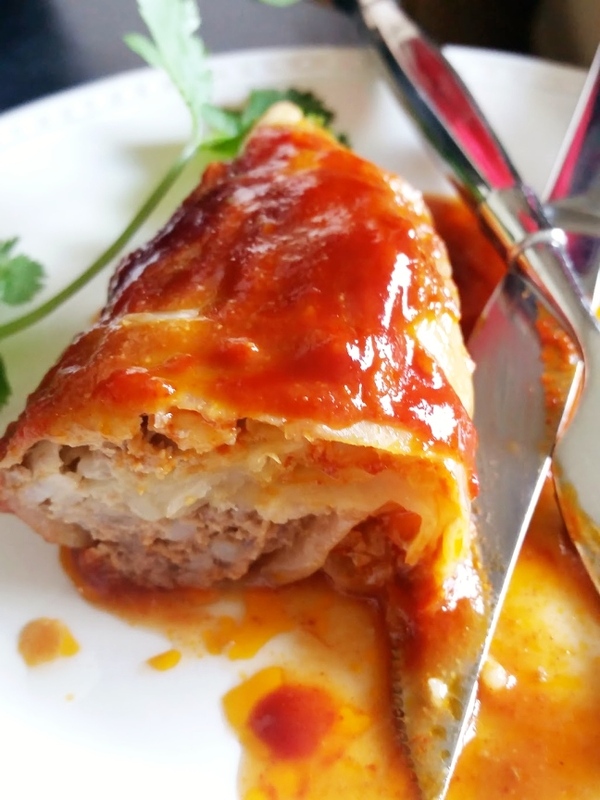 Pour the remaining sauce on top, cover with foil, and cook for one hour in the oven at 350 degrees.